First submitted Saturday, 27 October 2018 at 17:56:24 by Stephen Jakeman. 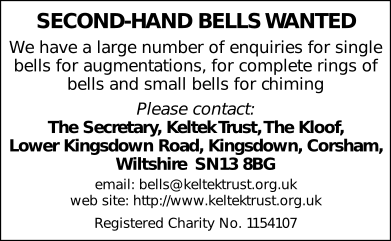 Sent for publication in The Ringing World on Saturday, 27 October 2018 at 17:58:07, and printed in one of issues 5611, 5612 or 5613. This performance has been viewed 67 times.